Two moments of magic from Lionel Messi and a late finish from Neymar gave Barcelona a 3-0 win over Bayern Munich on Wednesday in the first leg of their Champions League semi-final. This one is a gift from Nigerian Gospel Music Maestro, Frank Edwards, to his fans all over on this day, the 5th Anniversary of Rocktown Records. Plan to attend WOMEN LIBERATION Service 2015 tagged [Prayer is the key] with Evang Mrs. Joy Bob @ Kingdom Power Min. Agbonchia by zina Road Eleme, Port Harcourt, Nigeria. Date: Every WEDNESDAY- Time: 8:00am.. Note: This program is a prayer meeting and inter denominational service set out for women going through one problem or the other in marriages, businesses, families, etc. Great and wonderful testimonies has been recorded in previous meetings such as: lame walking, barren conceiving, brain tumor disappearing, marriage breakthrough, healing of HIV and also alot of hidden cases and causes revealed etc. Multi award winning gospel singer/ songwriter Sammy Wonders returned with a new look in music after the released of Komole Medley, a song that as caught across spreading like wild fire and hitting massive airplay and online downloads. Sammy Wonders is said to be one of Nigerian best fugi gospel artiste that is well celebrated all over Africa for his uniqueness. The Komole medley crooner which is said to be a dynamic vocalist posted on his twitter page a new artwork for his new single titled “XPRESS PRAISE” with a tag ‘Get ready to dance Africa’. This song is said to be one of a kind that you just can’t afford to get off your playlist. We all know sammy wonders for good music so join us as we anticipate this wonderful song. The Experience is and has always been about one thing. Worship in unity. Worship to One God in One Voice. A place where we lay down our problems, diversities in language and culture, financial status and emotional pains before The Great king. A place where the world in itself blurs into oblivion in the presence of One God. Our One God. 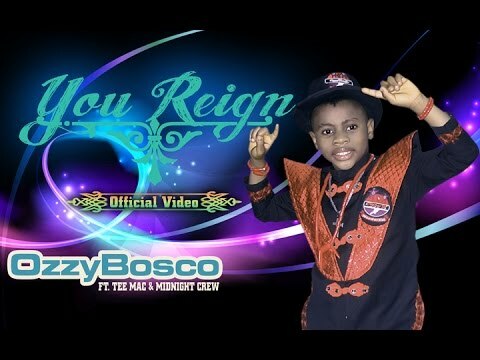 <img alt="download" src="The most decorated kid artiste on the African Continent “OzzyBosco WonderKid” is here once again to wow the fans with the video to his latest gospel single ‘YOU REIGN’ a praise song featuring Midnight Crew and the veteran flutist Tee Mac (MFR). The breath-taking video was shot at various locations in Lagos State by acclaimed video director, Akin Alabi and shows OzzyBosco in his gospel element dovetailing with some of the most talented artistes in the entertainment industry. The striker ended the game in goal when keeper Hugo Lloris was sent off, and conceded from the first shot he faced. Erik Lamela struck twice, the first a stunning strike that bought White Hart Lane to its feet. The £28m Argentine wrapped his left foot around his right leg to score brilliantly from 20 yards. It had been a similar story in Europe with Spurs held to a stalemate by Partizan in Belgrade in their opening game, before Demba Ba’s late penalty snatched a point for Turkish team Besiktas. Those results meant anything other than a win in their first ever match against the Greek qualifiers would have been a severe blow to Tottenham’s hopes of qualifying for the knock-out stages. But initially a victory seemed far from guaranteed against an Asteras side which was lively and always willing to attack. The Greeks had gone into the contest top of Group C and with a strong defensive record, having only conceded one goal in their first two group games. Spurs made light work of forcing a breakthrough, however, scoring twice within the opening half hour. Harry Kane had already come close with one long-range effort when he rifled an inch-perfect shot past keeper Tomas Kosicky and into the bottom corner from 25 yards. Then came a moment of sublime skill as Lamela scored his outrageous ‘rabona-style’ strike from the edge of the box. Latching onto a loose ball on the edge of the area, the attacking midfielder produced the most extravagant of finishes to flick the ball into the corner of the net with Kosicky wrong-footed. In fairness the visitors should have been level at that point. Facundo Parra broke clear seconds before Lamela struck but was denied from close range by a combination of Lloris’ heroics and some desperate defending. The two-goal cushion knocked some of the spirit out of Asteras and Tottenham began to boss proceedings, Andros Townsend twice going close with trademark long-range efforts. Asteras started the second period well but just when it seemed they might get back into the contest, Lamela struck again. The 22-year-old, who before kick off had only scored once for Spurs – in last year’s Europa League against Moldovan side FC Sheriff – pounced with a volley, though Kosicky should have done better. Lloris pulled off a fantastic save to keep out a stinging volley from Asteras skipper Fernando Usero, before Kane tapped in after Mousa Dembele’s shot had been parried. Kane completed his first ever hat-trick by heading in 10 minutes from the end. But his night wasn’t done. Lloris was shown a straight red card in the closing moments for bringing down Tasos Tsokanis as the last man and, with Spurs’ three substitutes all on the pitch, Kane put on the keeper’s jersey. Unfortunately he proved he isn’t as adept at keeping the ball out of the goal, allowing Jeronimo Barrales’ free kick to squirm under his body and give the Greeks what, in truth, was a deserved consolation. Nigeria has one of the largest concentration of poor people but Five out of the Ten names on the list of richest pastors in the world are from Nigeria. According to a Malawian news site, the photo of the singer identified as ‘Only 1 Harmony’ (her stage name) was posted on Facebook by an outraged member of the church. The singer was said to be performing at the Riverside Church, New York, wearing a mesh pantyhose and sequin top. “It is shameful & very appalling that the Pastor of Riverside Church in New York, allowed singer ‘Only1Harmony’, to sing in their church half-nakèd,” said the angry church member. We all know what they say about God seeing the heart but what kind of message is she trying to pass? Share your thoughts on the singer’s dressing.